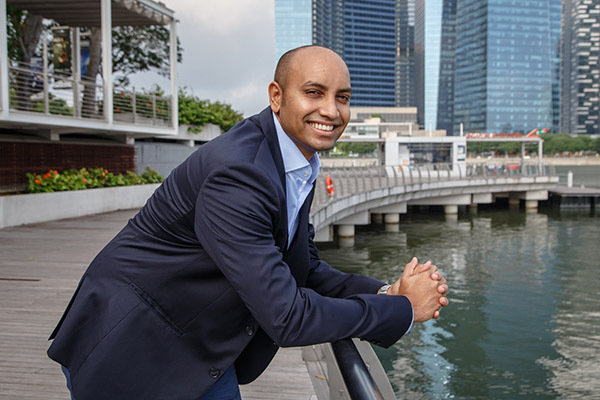 Based in Singapore, Prajit is responsible for spearheading business development into new markets. 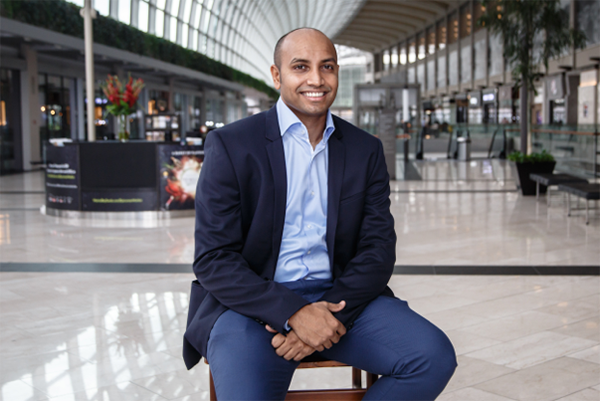 In addition to overseeing business operations across the global offices in cities including Singapore, Hong Kong, India, Australia, Europe and Malaysia, he is also in charge of driving innovation across processes to create value-added experiences for customers. 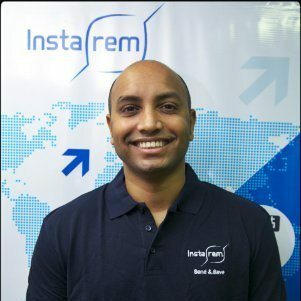 Prior to co-founding InstaReM, Prajit held several leadership positions in various global companies. He was the Global Sales Director at TMF Group, a multinational professional services firm headquartered in Amsterdam, and was the Vice President of Sales and Account Management at WNS Global Services, a business process management company. Prajit also holds a Bachelor of Commerce in Economics from the University of Mumbai. The New Savvy: Tell us more about your business. How did you get started in this business? 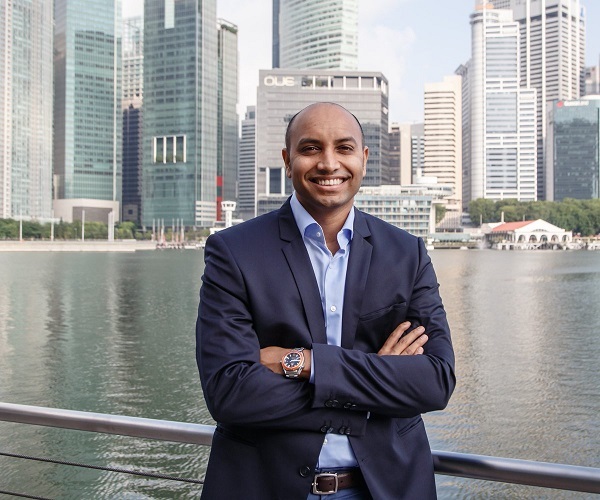 Prajit: InstaReM is a Singapore-headquartered digital cross-border payments company licensed to operate in Singapore, Australia, Hong Kong, European Union, US, Malaysia and India. We enable individuals, SMEs and financial institutions to send across payments at the lowest possible cost and fastest possible time, to more than 50 countries worldwide. The business was conceived when I was planning for a friend’s bachelor trip while residing in India. I was tasked to book a villa for the entourage in Phuket, Thailand. Upon payment for the booking, the villa owners refused to accept credit card payments and insisted on a bank-to-bank transfer of US$640. To make the payment, I had to do a lot of documentation to make the transfer from a bank in Mumbai to the villa owner’s account in Thailand, which was extremely frustrating and time-consuming. Luckily, I managed to get a friend who was residing in Thailand at that point in time to help make the transfer to the villa owner. In return, all I had to do was to transfer the equivalent amount in Indian rupees to his Indian bank account. This friend told me that he was often charged a fee and told me how banks took an FX spread from his frequent overseas money transfers from Thailand to India. This led to me spending my entire trip thinking about how I can scale this concept and make life easier for consumers. The New Savvy: How is it different? How is it useful? What are the Unique Selling Points of your business? Prajit: We are customer-centric, and strive to be a cost-effective, efficient and convenient company. 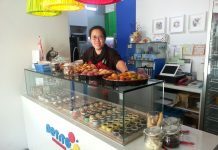 We are also building our business in Asia where the competition is less stiff. This is probably due to the difficulty in applying for a remittance license. For example, one approved license in Europe is valid for 32 countries. In Asia, on the other hand, it’s a painful process to apply for a remittance license in each individual market as each application takes about 6 to 8 months. We are now licensed to do outbound remittances out of Malaysia, the EU, and India. Unlike our competitors who charge a transaction fee and an FX spread, we charge a percentage of the amount. If you are sending $1000, our fees will be 0.5% to $5 will be charged (this includes FX and Transaction fee). The World Bank rates our service as the lowest cost in few corridors. In addition to being cost-effective, we are also effective as we can complete a transaction on the same day or within 24 hours. Using our local payout mesh in Asia and Europe, financial institutions such as banks, payment processors and corporates can leverage on our platform to make local payments. Our payments are then processed on the same day and there are no deductions. The New Savvy: What systems have you set in place to help your business grow? We have hired a good team since Day One and have empowered them to build the business alongside the founders. InstaReM is not a founder-led company but a team-lead one; we build the business based on everyone’s input and hard work. The New Savvy: How important is company culture to you? Any measures you implement to cultivate a likeable company culture? Prajit: Building and maintaining a small but globally scattered company culture isn’t easy and it definitely needs a certain “stickiness” to hold everyone together. Building the correct culture is of paramount importance to us. We focus on two aspects: openness and transparency. As a start-up, we must be concise and specific in our feedback, as it would hurt the company in the long run if we didn’t share our views. We also don’t have any hierarchical boundaries; everyone is very open and accepting of new ideas and constructive feedback. The New Savvy: How do you keep in touch with your customer base? Prajit: Our customers are our priority as the service was conceived from a gap seen in the traditional remittance process. We have constant communication with both existing customers and potential customers through various platforms spanning traditional and digital mediums. For example, we send electronic mailers to our customers regarding holiday reminders and promotions. We value the importance of constantly engaging with our customers so that we can be relevant and constantly improve our service. The New Savvy: What is an interesting customer interaction you had? Prajit: When we first started, I used to personally manage responses to customers. On Saturday, we had a customer who had to send emergency funds to India for an operation. He did not have an account with us and needed the funds in an hour. He approached us precisely because he heard that we could send fast payments. I helped him set up the account and ensured that the transaction was processed within 30 mins. The customer was very grateful and kept mentioning that he would send an email to the CEO to commend me for my great customer service. I had a good laugh but never told him that the CEO was me! The New Savvy: Discuss some trends you have noticed over the years in the remittance industry. Prajit: A majority of the innovation and cost reductions have unfortunately been focused on the white-collar segment. The blue-collar segment, however, is where there is significant pain, especially on cost. We need to collectively do much more to enable these individuals to progress with us. InstaReM is planning to launch a campaign for S Pass and Work Permit holders in Singapore so as to enable them to reduce costs and send money home on time. The New Savvy: What do you do on a daily basis to grow as an entrepreneur? The New Savvy: What’s your greatest fear as an entrepreneur? Prajit: The inability to foresee a change in the market ahead of time. Something similar happened to Nokia. Business Growth Strategy: Where Do You Start? The New Savvy: Describe a crisis you faced at work. What was your role? How did you resolve it? What were the results? In the 10th month of our operation, our largest banking provider closed our bank account with only 30 days’ notice. We were not given a chance to review what happened with the compliance team or get an extension. In Australia, all Money Services Business accounts were temporarily shut down. My colleague Blaine and I hit the pavement after getting thrown out of every bank until we finally succeeded in getting another banking provider. We were finally able to convince a bank that our compliance processes were state-of-the-art. If we had not gotten a banking provider in time, we would have had to close down in Australia. When we were raising Seed capital, we had an early stage Singapore-based venture capitalist that had committed to our round. In record time, our application for the Australian remittance license was approved, with a clause that we needed to fund the company with A$150,000. Being naïve and a first-time entrepreneur, I sent the document to the VC who misused it by reducing our valuation while being fully aware that we wouldn’t have enough time to make any changes if he said no. In addition, they were asking for too much equity in the business. We eventually rejected them and managed to raise the money in 15 days through friends and family. A large family office gave us the funds within a week. If they hadn’t been there, we would not have become what we are today.The New Savvy: What is on your perennial to-do list? Prajit: Hiring – I am constantly chatting with individuals and convincing the true talent to come and join our team. The New Savvy: What was the best piece of advice you ever got? The worst? Prajit: Best advice – Always focus on the customer and never on the competition. Worst advice – Shut down your business now; large remittance providers will kill your business and you will lose all your hard-earned money. The New Savvy: What is your attitude and outlook towards personal finance? Prajit: Up the age of 25, I never saved any money. My saving habits changed only after having a revelation through a casual conversation with a close friend, Alap. Alap, who was only a year into his job, and I were at an ATM withdrawing money. My bank account was empty – a typical scenario for me at the end of the month. Curious, I casually asked Alap how much money he had, only to have him reveal that he had savings close to 5 months’ of my salary. This money was saved in less than a year. It was then that I decided to get serious about saving and investing money. I started small by setting up Mutual Fund plans for $100 per month and kept increasing it as my salary grew. My initial investment into InstaReM was all my savings and I didn’t have to ask for any loans from friends or family. It’s important to save and there is no right age or right amount – just start and everything will fall into place. The New Savvy: Who is your role model, and why? Prajit: My role model is every startup founder who has raised very little capital and made his business profitable. Start-up founders occasionally get lost in raising capital and focus on that instead of building a credible business. I believe you should raise less but build a profitable business. The New Savvy: What is the craziest thing you’ve ever done? Prajit: When I was living in India, we had two active VC discussions with Singapore-based VC’s who both told me that I had a better chance of raising capital if I moved to Singapore. Given how much I wanted the business, I applied for EP on a Friday, got it approved by Tuesday and told my wife that we were moving to Singapore. With less than $300,000 in our bank accounts and a 6 months runway, I took the call to move to one of the most expensive cities in the world. One of the VC’s was Vertex Ventures and we raised our Series A immediately after 5 months of moving to Singapore. Give us a parting quote! Prajit: Don’t dream for a start-up life. Start-up is a lifestyle choice and not a career choice. It looks rosier from the outside than it really is from the inside. If you are confident that you want to become an entrepreneur, don’t think twice. Do it and don’t listen to anybody who will try to dissuade you from that choice. Power of Airbnb: Growing Tourism in Singapore, but Falling Hotel Industry?